THOR GUARD lightning prediction systems are designed to predict lightning in your local area BEFORE lightning strikes, allowing decisions regarding dangerous situations to be proactive, not reactive. Our goal is to increase productivity and maximize safety by providing our customers with critical, timely lightning warning information in an easy-to-use format. 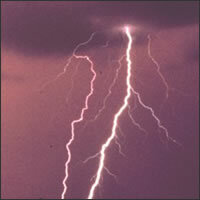 Warnings provided by THOR GUARD systems are based on lightning prediction technology. Learn how prediction technology is superior to detection technology regarding your lightning safety. THOR GUARD is a universally adaptable system. 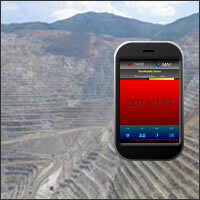 Understand how our technology is utilized in today’s industries around the world. How do you determine if a dark cloud will develop into a thunderstorm? When is a shower just a shower? Understand the weather scenarios where THOR GUARD products improve decisions regarding dangerous lightning situations. 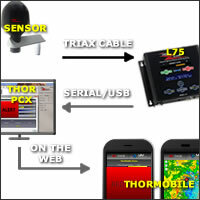 There are various options to move data from your THOR GUARD system to a computer, the Web, and/or to mobile devices. Let our process tree simplify what display products are best for your application.